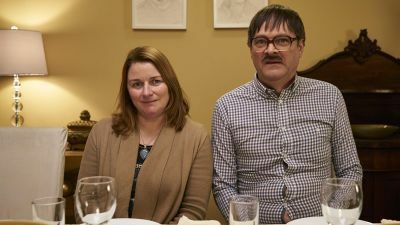 For the Goodman family, Friday Night Dinner is just like Sunday lunch: just take two days away, change the meal to dinner, and you’ve pretty much got it. 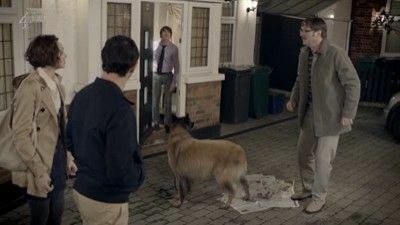 Adam and his brother, Jonny, view Friday night dinner as a necessary annoyance - necessary because they get fed, and annoying because, well, they have to spend the evening with mum and dad. Dad has been secretly hiding a dead fox in the outside freezer as he wants to get it stuffed. 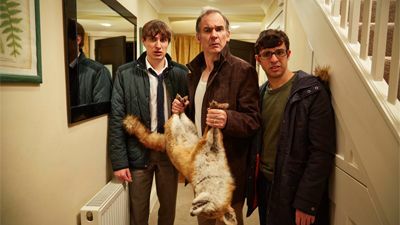 But when Mum needs to use the freezer, Dad enlists Adam and Jonny in a desperate attempt to hide the dead animal from her. The boys come home to find the house in a real state. The builders have been in, and everywhere they look, there's mess. On top of this, there's a mouse in the house, and mum is hiding in the shed. Dad - who's clueless in the kitchen - is left in charge of dinner ('I might as well be boiling a table'). 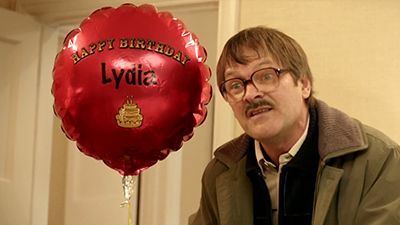 But when Jim (Mark Heap) pops round to see if he can help around the house, something quite terrible happens to him, and mum is forced - out of guilt - to ask Jim over for dinner. 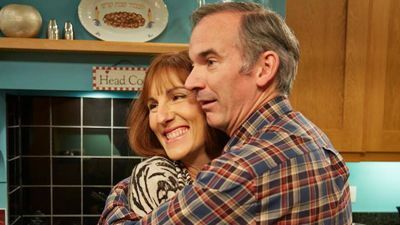 This is Jim's happiest moment ever - finally, his first ever Friday night dinner with the Goodmans. Dad and the boys are livid with mum for asking him round. What follows is an excruciating dinner scene; along with Jim's peculiar eating habits ('I prefer to tear my food'), Jim's conversation skills have a lot to be desired ('Martin, are you circumcised?' he asks an unsuspecting dad). Things get even worse very quickly, as Jim leaves a trail of destruction in the house. 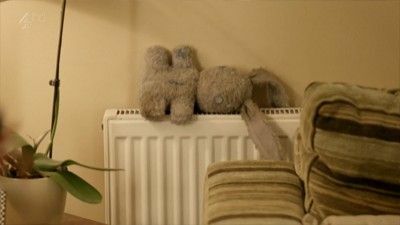 When Jonny finds Adam's old diary, he learns a terrible secret: when Adam was 11, he secretly dumped Jonny's beloved 'Pandy' panda bear toy in the outside bin, never to be seen again. This unleashes a war in the house, with Jonny threatening to destroy Adam's equally beloved old rabbit toy, 'Buggy'. Fights rage in every room, with Mum and Dad unable to control their two twenty-something sons, who have become 13 again. Desperate to hide his precious comfort toy from his angry brother, Adam gives Buggy to just about the worst person possible: neighbour Jim. Meanwhile, Dad will not stop sneezing on everything - 'He sneezed on a baby today - so embarrassing,' says Mum. Later, when dinner is served, Dad sneezes over all the food and Mum's delicious Friday night dinner is ruined. But what happens when hopeless Jim accidentally loses Buggy in a lake? And why is Jim speaking Chinese? 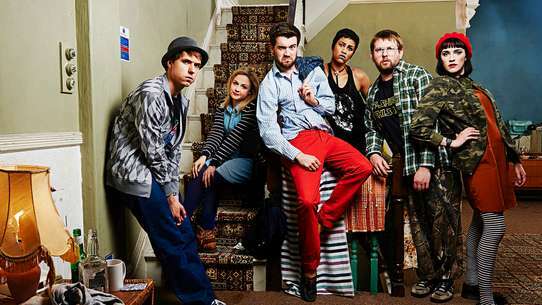 Dad paints a portrait of Mum that resembles Margaret Thatcher, putting a damper on their anniversary celebrations, while Jonny gets a tattoo of a skull and Jim goes sleepwalking around the house - causing havoc. Adam finally brings a girl home for dinner, but the evening is ruined when the family suddenly have to look after eight-year-old Katie, who has a massive girlie crush on Adam. 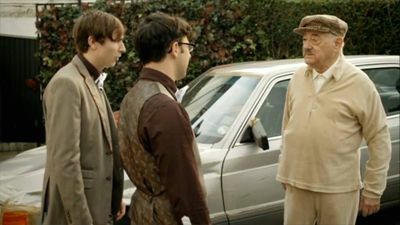 It's Grandma's wedding day, and she's getting married to the horrible Mr Morris. The family are distraught, but will Grandma really say 'I do'? Adam comes home to find the house looking immaculate, with classical music playing in the living room, Mum's posh bowls on the dinner table, Dad in a smart suit, and - most mysteriously - the table set for five. The doorbell rings and in comes Tanya Green, a girl Mum has been trying to fix up with Adam for months. What follows is possibly the most excruciating family dinner scene of all time. 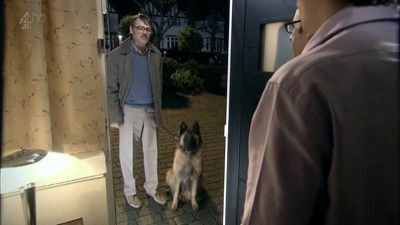 Meanwhile, Jim has been locked out as his dog, Wilson, has swallowed his keys. Inside, the blind date continues, but will Mum's dream of an Adam and Tanya wedding come true? Jonny is in a real pickle: he wants to split up with his 43-year-old girlfriend/boss, Liz played by Leslie Vickerage, but is too scared to do so. Adam, meanwhile, is happy to keep teasing him about her age ('I'll switch the stair lift on'). Grandma, played by Frances Cuka offers Jonny some advice - 'Take her out dancing' - before showing him how to dance in the kitchen. While they dance to the music on the radio, it transpires that it's just the music for the news headlines, and before long, Jonny and Grandma are actually dancing to the news. Adam is loving it. Meanwhile, Dad has been drying fish under the stairs (Dad: 'Have you never had dried fish before?' 'Not from a cupboard' replies Adam). Then Grandma gets locked in the boot of Adam's car, and everything changes. How will they get her out? And as if that isn't bad enough, Jonny's girlfriend, Liz turns up at the house. 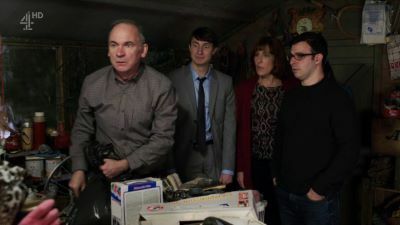 When Adam and Jonny come home to find Dad secretly peering into his underpants with a magnifying glass, they're desperate to find out what he's looking at. Meanwhile, Mum is just trying to have a nice Friday night, but Jim - the neighbour who's terrified of his own dog - keeps interrupting the meal. Dad takes Adam - who's single - into the toilet to have a private chat about 'females'. Soon the whole family are in the loo quizzing poor Adam. Jonny is loving it. And finally, the secret behind Dad's pants-peering is revealed. Dad has bought a piano, and the world's most sarcastic piano tuner comes round to tune it. Meanwhile, the family spot Aunty Val having an affair. What should they do? The family is distraught when Grandma gets engaged to Mr Morris, her horrible 85-year-old boyfriend who upset everyone and lost his temper the first time he came for dinner in 2012. Dad couldn't stand him back then and hid in his shed, but will they get along this time? Meanwhile, Jim collects money for charity, while dressed in full dog costume, complete with doggy testicles. Adam has finally been recognised for his musical talent. But it's overshadowed when Jonny arrives home and announces he's got married. The boys are excited: grandma, played by Frances Cuka is coming for dinner, and tonight she's bringing her new boyfriend. 'He's not her boyfriend,' says mum, he's her 'male companion'. 82 year-old Lou Morris, played by Harry Landis is a horrible, vain man, who sports a trilby, a Hitler-ish moustache, and is obsessed with cleanliness ('I'm very hygienical'); wiping his hands on the bathroom curtains when there's no hand towel. 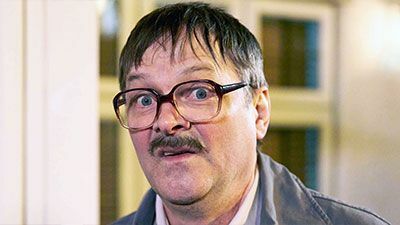 Mr Morris is also the world's worst driver, parking his battered old car right up to the front doorstep, smashing his headlamp: 'Your bloody house just broke my light!' shouts Mr Morris. None of the family can see what lovely grandma sees in him. Dad can't stand the man and hides in his shed, while rifling through his box of fossils. But none of the family are quite prepared for what happens when Mr Morris suddenly loses his temper. Adam has been staying at Mum and Dad's all week, but with Mum fussing over him so much, he's started behaving like a little boy. And Jim passes his driving test - after 15 attempts. Dad accidentally invites someone who he used to hate round for dinner: an annoying man who talks with his eyes closed. How will Dad get rid of him? 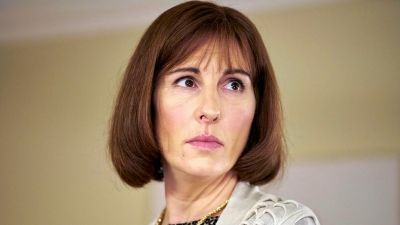 It's Uncle Saul's funeral, which means 'Horrible Grandma' is back, and leaving a trail of broken furniture in her wake. When Mum finds out that Dad didn't throw away his old boxes of science magazines in their clear-out, she goes mad. So Dad builds a bonfire and promises he'll burn them all. But Dad is only pretending to burn them, instead squirrelling the boxes off to his shed in the garden. Mum is excited as her best friend, Val, is popping around with her new dress for her daughter Karen's wedding. Adam and Jonny are convinced Karen has a face like a foot. Meanwhile Jim's dog, Wilson, goes missing, leaving Jim distraught. Later, Val comes round. She looks just like Mum: similar hair, similar clothes and - according to Dad - "similar bottoms". She tries on her dress. The men are instantly bored. Will Jim ever find Wilson, and will Mum venture once again into Dad's shed to discover the truth behind his "pretend bonfire"? 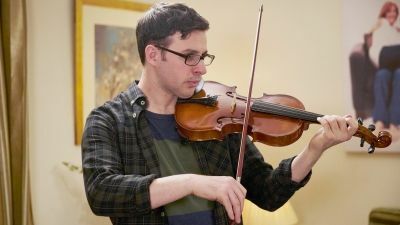 Adam isn't happy when he is forced to play his violin for Mum and her best friend Val, while Jonny is relishing every moment. Dad is obsessed with his old microscope. 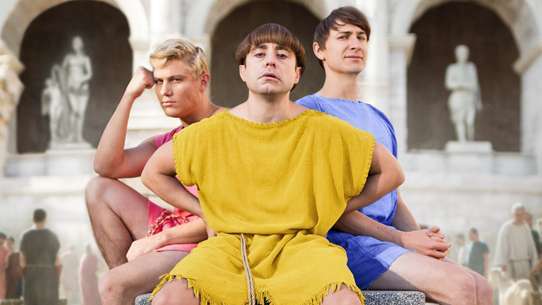 Mum and Dad get a hot tub, much to the horror of Adam and Jonny, and Jim brings a date round for a disastrous dinner. Mum's friend Val moves in and causes havoc when she finds that Dad is hiding a tin of 20-year-old meat in his shed.